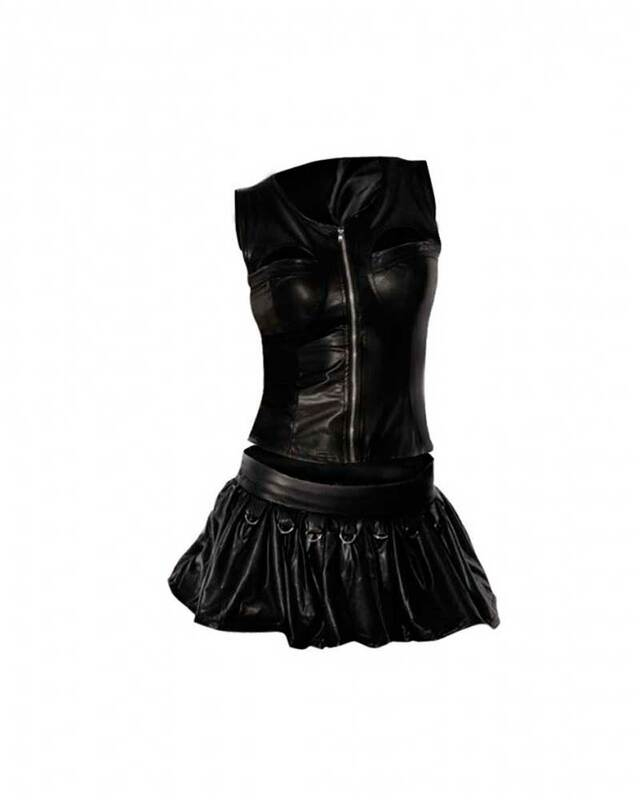 Halloween is the time to amp up your hotness quotient and this leather bustier and skirt is perfect for that. 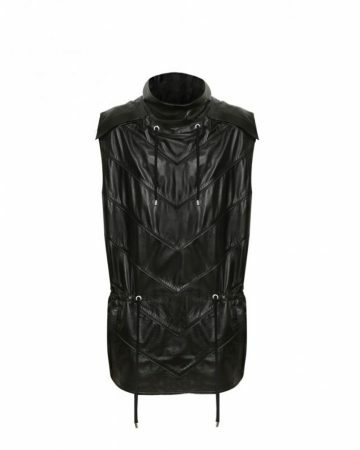 Black leather bustier features sultry cut-outs on the bust to enhance your curves. 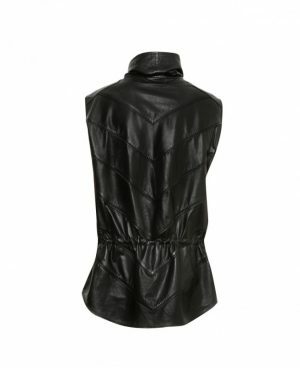 This lambskin leather bustier is available with the matching set of short ruffled skirt for a flirty vibe. Pair with sky high heels to create one of the perfect womens Halloween costumes.